Services in PINK are the services we offer or provide with our partners. Advertorials – A hybrid of editorial and advert usually denoted by ‘Advertisement Feature’ in magazines. We can write these and secure the magazine space for you. Unlike ad and media buying agencies, we don’t take commission from the media title. Any saving is passed on to you. Advertising – We can design ads working with you and our design partners. As with advertorials above, we can also buy the space. Our view is that late offers for space that may come your way are a waste of time unless you have a compelling one time offer or you are running an ad campaign. Otherwise a one off ad is just a drip in the ocean and commission in the pockets of the ad sales guys. Art Direction – We art direct all our photography and video shoots. This involves making sure that the photographs or video and consistent with the campaign messages and themes. We and our photography partners have won awards for our work in this area. Ambassadors – We have worked with many ambassadors over the past decade and a bit. We know the difference between the ones that work for you and the ones that think your campaign is just an extension of their personal PR. Analytics – There is a wealth of data now available to you and to us. Website, social, EPOS, online sales, qualitative and quantitative research data are some of the sources we are familiar with. We know how to interrogate them with you and use them to understand the story they are telling. Like most things, doing analytics takes time. A lot of time. AVE – We don’t meaure this way. Before 2010 the most widespread metric used to measure the value of PR was AVE (or AEV) – Advertising Value Equivalent. This measurement took the physical size for the coverage and attributed a financial value to the size of the piece based on the equivalent rate card advertising cost for the space for example: A whole page ad in Hello! magazine cost approximately £16,800 to buy. Using AVE the equivalent page of editorial was given this monetary value. With the proliferation of media channels the pressure on advertising revenues in print media has been downward. Print media rarely charged or received ratecard rates for their advertising space. Therefore, the financial value of the equivalent editorial was immediately diminished but very rarely stated. The absence of comprehensive equivalent advertising rates for editorial space online meant that no equivalent value was available for online coverage. As online coverage increased and print media decline continued a significant amount of coverage could not be measured using AVE. The AVE metric allocated a unrepresentative and flawed financial value. It failed to measure the value of editorial in context. The power of well thought through content to influence discussion, engagement and advocacy. The AVE metric was not used to measure negative coverage or was given a positive value for content that might damage the brand. AVE was also not an adequate measure for articles that either limited or overturned the effect of damaging coverage.  For more information on how we measure click to download this brief summary PamLloyd PR measuring effect and value of PR. The world’s largest online retailer – Enough said. Benchmarking – We find that setting benchmarks is helpful. To declare an interest, benchmarking helps us as PRs to assess how effective our work has been. If we know that awareness of your product and key messages was at X before we started and is at X+ when we’re finished, it makes it easier for us to persuade you to spend your budget with us next time. Blogging – We like blogging. You can enjoy our stories on food and drink PR on our blog. We also follow other bloggers (below). Bloggers – We can work with you to determine whether they are right for your brand/business, just having fun or potentially harmful. Like so many things in life, you get what you pay for and a good deal is often too good to be true. Branding – You may want to get a brand off the ground; perhaps you have one that you’d like to refresh; maybe you just need it to be better known or understood. We can help you achieve each of these things. The important thing to remember is that some words, a logo or ID are not a brand. They are just signifiers. A brand is not what you say it is. It is what you customer says it is. Scary. For more thoughts on brands and why businesses are no longer in control check out Marty Neumeier – The Brand Gap and STR – People Don’t Care About Your Brand. Brand partnerships – We have done a lot of these. What are they and why? Brand partnerships are opportunities for your brand to join with a complementary brand so you can each benefit from talking to each other’s audiences and increasing sales. A good example is British asparagus partnering with Maille Hollandaise. We used Dunnhumby data to find out the most popular products bought with asparagus and then asked those brands to buddy up. Briefing – We like a good brief. A good brief is helpful because it sets out the requirements of a job, the approach and the expected results. If we all understand those we’re 80% of the way there in getting a successful project underway. If you aren’t familiar with drafting your own brief we will take the information you give us and draft one on your behalf. Broadcast PR – We can secure broadcast PR for the right story. We can also be your spokesperson if you don’t want to be in the media spotlight. Budget – It’s nonsense, when asked, what’s you budget to say I don’t know. Plenty of agencies won’t pitch unless a budget is set. Thankfully we’re not that militant. We just start with a figure and work backwards from there. It soon becomes clear how much is available to spend. If you plan to start using zero based budgets then we can talk through that with you. Business to business – Business conducted between companies. B2B. Business to consumer – Business conducted between a company and one or more consumers. B2C. BerryWorld – Our berry client for 6 years. Great people doing a fabulous job of growing and selling berry varieties. Bomboloni – Our local restaurant on the Gloucester Road. Polly, Olivia and Pam scrubbed floors, cleaned windows, polished surfaces and launched it. Great food by good people. Borough Olives – Olives in Borough Market and by post. They are a properly good gift and better than a pair of socks or a tie. Bristol Good Food Awards – Rewarding the biggest and best on the Bristol food scene with a fun evening of awards and drinking. Like Bath but a little bigger. Bristol in the Sky – We’re launching these guys. When we say launching, we’re recruiting restaurants for them and promoting the delights of eating a way off the ground with your feet dangling in mid air. Don’t drop anything! British Leafy Salad Growers Association – How do you take a low engagement product like salads and make them something kids will talk about? We’ve done it by developing educational materials for Key Stage 2 pupils (7 – 11 year olds) that fit the PSHE curriculum. These materials have been developed with teachers for teachers. And the results have been excellent, with all KPIs exceeded for the first year of the campaign. We have a lot of clients beginning with B! Case Studies – Some of ours are here. Content creation – Your product and brand story in words, pictures, video created by us and our partners. We will work with you to write, photograph and film some or all of the things that you want to share with your customers. Then we’ll get it out into the world using media relations, social, events, ambassadors (and word of mouth if you’re local.). Content Engine – Over the past decade we have developed a content engine. The engine uses the content we create for our clients and sends it out to media. We send 70 themed and occasion led content round ups throughout the year to long, medium and short lead media. Occasions include Christmas, Easter, Valentines, Back to School, Hallowe’en. Themes include New Year, Spring, BBQ and also take advantage of Vegetarian Week, Sandwich Week, Baking trends and so on. The content engine generates a lot of media coverage for our clients. Content planning – We love a good plan. We will work with you to set out what we need to create to tell your story, what you’ll say and when. Content marketing – or PR as it’s also known. PR is the original content marketing, creating content to secure positive coverage for clients. Never use jargon words. They are the hallmarks of pretense. Never send an email, letter or memo on the day you write it. Read it aloud the next morning – and then edit it. Before you send your letter, email, ad copy, make sure it is crystal clear what you want the recipient to do. Invest the time in continually learning how to write well. Learn who you are writing for. Do your homework and know what you’re writing about, but don’t be afraid to break the rules. When people read your copy, they are alone. Pretend you are writing to each of them a letter on behalf of your business/client. Crisis communications – Things go wrong. That’s life. Most businesses can plan for the eventualities but choose not to. Then when a crisis happens they lose valuable time creating an off-the-cuff plan instead of responding. The delay can be very damaging. And poorly thought through plans can exacerbate the damage. We have experience dealing with crises. We can help you to draft a plan. Crowd funding – In 2015/6 everyone and their aunt seemed keen to crowdfund something. We successfully ran a crowdfund campaign for a client project in 2016. It was close run thing. We learned from the experience. If you want to explore crowd funding, we’ll share our experiences with you. Then you can decide if a crowd funded project is right for you. Cakesmiths – Our Bristol based cake, brownie, flapjack, loaf making, tray baking client whose tasty products are sold to coffee shops up and down the country. Cocktails in the City – We’re launching this 2017 event n Bristol. Yum. Data – We love data, particularly when it delivers a new insight or helps us benchmark a campaign. Design – We work with a great selection of designers from freelancers to agencies. We help you work with them or we put you in touch. We never want to be the gooseberry in a beautiful relationship. Deliveroo – We launched Deliveroo in Bristol. We might have used them once or twice for office pizza, sushi, gyoza, gelato and other lunchtime loveliness. Education material – Working with teachers and our design partners we develop education materials for schools. They are, after all, the next decades shoppers and decision makers. Events – We can advise you about events. We make restaurant launch events happen, set up and run stands at food events and work with clients like you to help on stand at events. If you want a big event, we are just round the corner from people who will work with us to deliver that too. Eatchu – We launched Bristol’s gyoza restaurant at St Nick’s Market. They really are the best in town. Facebook – It’s a paid for advertising channel for business and brands not a free social media network. Nothing wrong in that. It hit 2 billion monthly users globally in June 2017 and 66% of monthly users return every day (for more Facebook stats pop over to TechCrunch). Despite what you may hear, people under the age of 30 are still using it in their millions. But Facebook isn’t necessarily for everyone. We can discuss whether it’s right for you. Fenland Celery – Fenland Celery PGI, the first English veg to secure this designation from the EU. we’ve been sharing the story of this heritage crop since 2011. Learn about why it is special in this video or at fenlandcelery.com. Grey Pound – Many businesses are obsessed with targeting the 18 – 24 and 25 – 34 age bands. While this may be right for certain brands, the 60+ age group should not be ignored. According to the Office for National Statistics, in 2008 the number of over 60’s exceeded the number of under 16’s for the first time. By 2030 over 60’s are expected to make up 20% of the UK population. They are likely still to be working, may well have paid off their mortgages and have no kids at home, all of which means they have more disposable income to spend on your products. Google Analytics – A powerful set of tools to that help you to understand who is visiting your site and what they do when they get there. We can help you explore the data and gain insights about your online audience. Godminster – Exceptional vintage organic cheddar produced to a 90 year old recipe, proper oak smoked cheddar and fabulous Somerset brie, all produced by our lovely client in the uber trendy Bruton. Gs Fresh – We have worked closely with Gs Fresh for almost ten years. Our work promoting their crops includes beetroot, celery, radishes, baby gem lettuce, spring onions, Chinese leaf lettuce, organic salads, Bourne and Wallis pickles, PWR+ juice, Love Beets Juice as well as marketing consultancy, corporate and internal communications.